"Hi Thank you for visiting. You are Welcome to stay and browse "Hypnosis - Life Coaching - Counselling"
"This is the Home page. Other pages to visit are in the Menu. If you need any help I’m just a click away for issues Treated, Contact info, FAQ's and all our Services"
We are situated at Sunnybank Hills near Brisbane. Same address since 2004. Previously Gold Coast and Sydney. With my current schedule I only have about two vacancies a week for new Clients. So if you are keen with a strong desire to change, please choose a time and complete the form below. Simply choose a time below. Don’t click it or you will go to your own Google Calendar and have to sign in. Enter the time and date in the form below. Or email it text or call me together with all your contact details. "1967 Opened my first Hypnotherapy Clinic in Randwick Sydney and was booked solid for months." 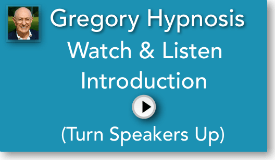 Gregory is an "old school" Hypnotist Hypnotherapist with modern ideas based in Sunnybanbk Hills Brisbane Australia. Treatments offered include Weight Loss and all eating disorders. Sports Hypnosis, Regression Hypnotherapy, Hypnosis Nail Biting Smoking Fears and emotional issues. He has carried out thousands of consultations with individuals and even performed a televised mass hypnosis to quit smoking session at the St. James Playhouse in Sydney. "Why I Can Help YOU Too"
Early studies: Optician, Mathematics, Science, Hypnosis, Music, Psychology. 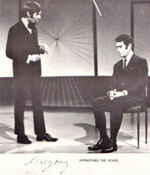 Began learning and using Hypnosis from 12 years of age in 1957. "After my father took me to see The Great Franquin". Studied and became an expert in ancient Mysticism and Metaphysical subjects. Studied and applied the Chinese I Ching and Color Personality Testing. 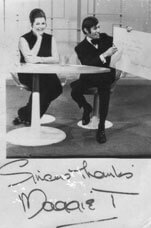 Tonight Shows such as Joe Martin, guest appearances on Grundy Television shows and Hypnotised many TV personalities of the day. "Over 1000 people came to see me in one day." The real belief in the power of Hypnotism to help smokers came when he hypnotised over 1000 people to quit smoking at the St James Playhouse in Sydney one Tuesday afternoon. "My Mass Hypnosis Session was televised." Many people stopped smoking at that event. The whole Mass Hypnosis Session was televised on all the News Channels and "This Day Tonight" with Bill Peach on the ABC. "My phone began to ring and didn't stop for weeks." 1967 Opened his first Hypnotherapy Clinic In Randwick Sydney and was booked solid for months. 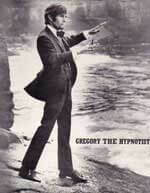 Gregory on TV's most popular show in 1968 performing as "Gregory the Hypnotist" on television stations around Australia. From 1969 onwards Conducted various self - development and personal improvement seminars and courses in Australia. Attended the first ever "Mind Dynamics Institute" course of about 200 people in Australia with the founder Alexander Everett from San Francisco. Alexander Everett had worked with Jose Silva and helped create "The Silva Method" of "Mind Control" earlier in his career. "Alexander appointed me as General Manager for Australia and head Instructor partly because of my hypnotic background." Werner Erhard (who later founded EST and "Landmark Forum") made his start here too. Ran the first Alpha Rhythm Training courses in Australia in the early 70's. Partnered with Dr Maxwell Maltz's company in The Bahamas teaching "Mind Science" (Alpha Rhythm Training). Trained 50 Sydney University students in Memory Improvement Techniques using Hypnosis. Created and Co - Produced his own weekly Television show on Real Estate called "Home Affair", on Channel 10 Sydney. Later did thousands of individual consultations around Australia and overseas. "In1978 my life turned into a completely different direction when I came across Prem Rawat. "I began an inward journey of self discovery and meditation after being shown, what was for me, the path to inner peace and happiness inside myself." "1997 My Hypnotherapy Personal Development and Counselling Practice demanded more time." From 2004 moved the Hypnotherapy Practice from the Gold Coast to Sunnybank Hills in Brisbane. "Started winding down his other business interest building computerised touch screen machines." Summary: "I've been using Hypnosis, "conversational hypnosis", "waking hypnosis" and techniques similar to NLP and other Hypnotic methods, long before the terms were used, since my early days at school in 1957." Practice and Office is at Driftwood St Sunnybank Hills 4109 Brisbane Qld Australia. Consultations are private and confidential. Either in person or by phone or Skype all over the World. Our follow up FREE Back up and Support audios and videos will keep you motivated and on track for continued success after your visits. Sometimes we just need a reminder so you will receive these FREE audios and FREE videos after your first Live Session. Spreading them out over a few weeks gives you wonderful follow up. Gregory has a Clinical Hypnotherapist Dip.Clin.Hyp. 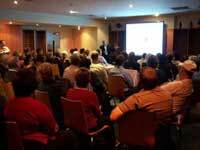 Is a member of Australian Hypnotherapists' Association (AHA). Is a recognised Health Fund Provider for the Funds which do cover Hypnotherapy. Check with your provider. Gregory does not provide medical advice of any kind. Your Treatments do not replace the advice of a mental health professional or your Doctor. Hypnosis has many beneficial effects but is not a substitute for appropriate medical attention. Consult your physician if in doubt. Gregory follows a strict code of ethics and upholds the utmost professionalism. You agree that you are not suffering from Epilepsy or other mental illnesses. There are no guarantees of any kind implied or given at this site. We make no claims of exact results you can obtain. We cannot and do not claim you will have permanent results. Yes. Losing weight and quitting smoking are achievable. However we do not claim exactly how much weight you may lose or how long you will stop smoking for. Your overall desire to change. Your ability to absorb suggestions to your sub conscious mind. Your personality type. Your ability to focus your mind and remember what you hear during your Session. So there are many reasons why one person is successful and others are not. We do not claim you will only need one Session. We recommend at least three Sessions for most issues. We never share your personal private details with anyone. We only use it to provide the service or Product to you. You may be contacted for verification purposes or to give you other legitimate offers. Any Cookies from outside third parties do not give us private personal information. Copyright ©2004 Gregory ABN 93693939404 All rights reserved. No copying, duplicating sharing or selling of our digital or CD Products, is permitted.